You don’t have to be passionate about wines nor a connoisseur with a skilled palette that can distinguish the exact make, region, and type of grape from a single whiff. However, life is too short to never give Italian wine a try. The sheer intricacies and aroma of the Chianti Classico Riserva or full-bodied Chianti Classico are a must! Your ability to judge the sweetness of the wine begins at the tip of the tongue. Do you feel a tingling sensation? Try to focus on that one endpoint on your tongue to determine the wine’s sweetness. This is an indication that the wine has a slightly high level of residual sugar. It should also have a high viscosity. So if you’re swirling your wine, it should have a delayed ‘swish’ due to the body of the wine. This should not be confused with having a high concentration of alcohol. Wines with higher levels of acidity may taste tart and zesty – a bit lighter than others. When you take a sip, you should feel a tingling sensation on the front and sides of your tongue. However, if you’d rather choose a wine that is more ‘rich’, then you need a wine that is less acidic. Tannin is the compound that adds bitterness to a wine. This is usually found in the skin of the grapes and in the bark of an aging oak tree used in the barrels to age the wine. Tea has high levels of tannin. So, if you want a taste of tannin, try placing a tea bag on your tongue, and keeping it there for about 5 seconds. It begs the question though: if tannin is associated with that astringent taste, why do you need it in your wine? Well, for precisely that reason. Tannin is the element in your wine that adds texture, complexity, and balance. It makes your wine last longer. If you choose a wine that is high in tannin, you should feel a bitter taste in the front and sides of the tongue. It will also leave a lingering dry sensation in your mouth. If you take a sip of wine and can clearly determine mostly fruit flavors, the wine is considered fruity. For instance, some wines may have strong notes of strawberries while others may have blueberry, blackberry, or a combination of flavors. Different types of wine will have varying levels of fruitiness. Fruity red wines can be dominant in raspberry, blackberry, or blueberry. White wines can have citrus (lemon, lime) or peachy notes. 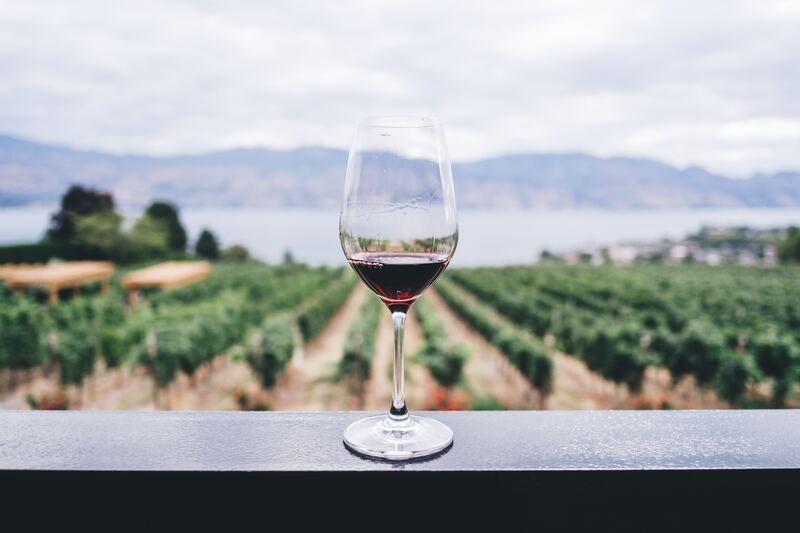 The body of the wine is not determined by one single factor, but rather, the combination of many factors like residual sugar and the alcohol by volume (ABV). Wine with high alcohol concentration will taste fuller than one with low alcohol concentration. But overall, the body of the wine – whether it is light, medium or full-bodied – is determined by taking a snapshot of many factors. To simplify, if the wine’s taste lasts longer in your mouth – say 30-40 seconds – it is full-bodied. To conclude, identifying characteristics of wines comes with practice. If you haven’t found your perfect wine yet, you should start now. Explore the Montemaggio vineyard in the Tuscany wine region or the online Chianti wine collection. From the best Chianti Classico to organic wines, and much more, we offer quite the selection in our wine tastings to help you find ‘The One’.